The distinctive and tasteful presence of the traditional Spencer bathroom sink vanity was crafted to compliment any bathroom décor. 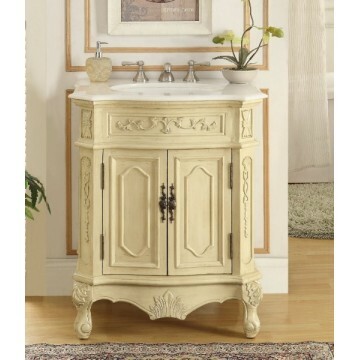 The subtle and luxurious acanthus leaf details compliment the hand-carved leg posts and serve as refreshing details to this space-enhancing and practical bathroom sink vanity. The polished white marble countertop completes this truly eye-catching, final touch to your bathroom décor.